Blackthorn lent one of its active diesel particulate filter systems to the University of Wisconsin, Platteville, helping them to come first in the diesel category of the Clean Snowmobile Challenge. 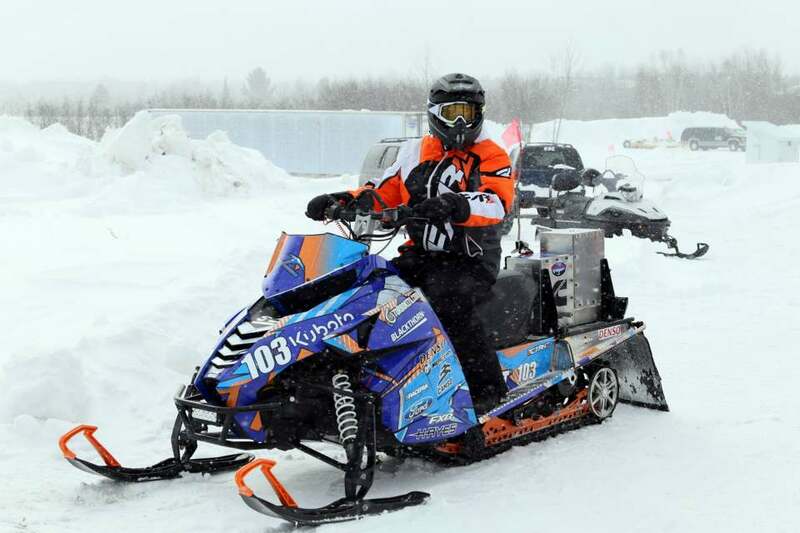 The Clean Snowmobile Challenge is an annual event organised by the Society of Automotive Engineers, in which engineering students from the Northern United States compete to produce a snowmobile with the lowest environmental impact. Factors such as economy, noise and toxic emissions are assessed in both laboratory and real-life conditions. The team from the University of Wisconsin, Platteville opted to enter a snowmobile powered by an 898cc three-cylinder turbocharged Kubota engine, producing 19.8 kW. The exhaust temperature was too low to enable reliable passive regeneration of a diesel particulate filter, so Blackthorn lent them an active filter system which is regenerated by periodically connecting it to a battery pack. This system is more commonly used on mini-excavators working in confined spaces in London, but also performed brilliantly on their snowmobile !